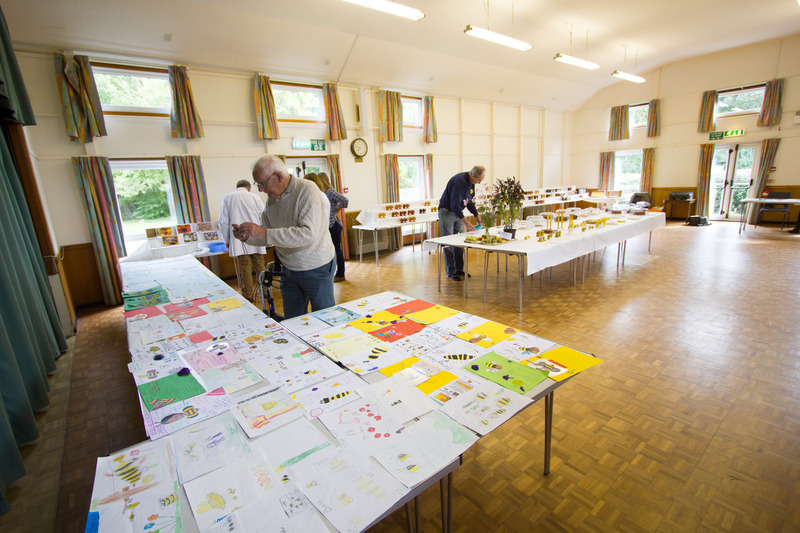 This year’s overall smaller harvest was reflected in the Honey show with a lower number of entries than in previous years (see below). To enable the Senior Honey Judge to award the prestigious Blue Ribbon there has to be 100 entries in the Honey, Wax and Confectionery classes. This was achieved by only a small margin with 103 qualifying entries. 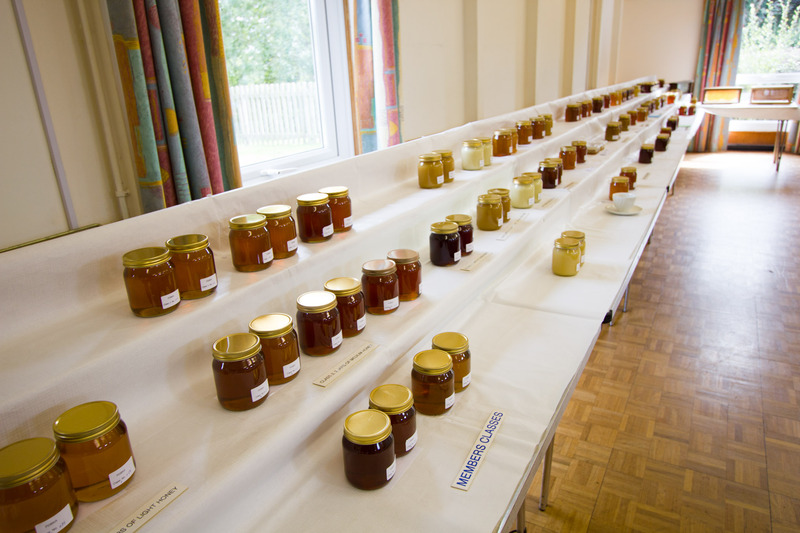 As an earlier Honey Judge said “you should be able to take a jar of honey off your shelf and it should be good enough to enter into a show”. 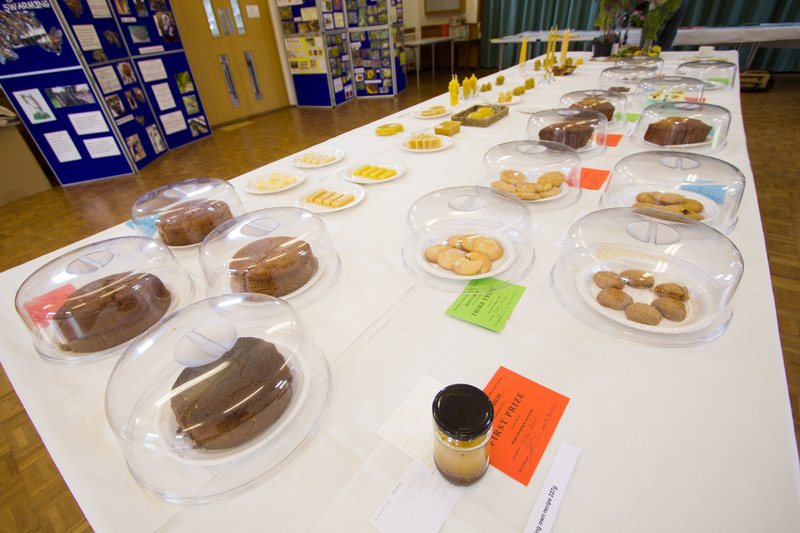 I am sure the competitive show beekeepers would mutter it takes more than that to win. Both views are right. The first may win a prize but the second may win the blue ribbon. The best way to see how good is your honey is, is to enter the Honey Show. This year 16 members and 6 non-members entered exhibits. A new member, who entered for the first time, won a first in a novice class and a second in one of the member classes. It is essential that exhibitors follow the Schedule. This year some entries were discarded by the Judge as they did not meet the precise requirements of the Schedule. The Chunk Honey class requires 50% of comb in the jar. The heather blend class requires sufficient heather content to qualify. An entry in the commercial wax class was not sufficiently cleaned. 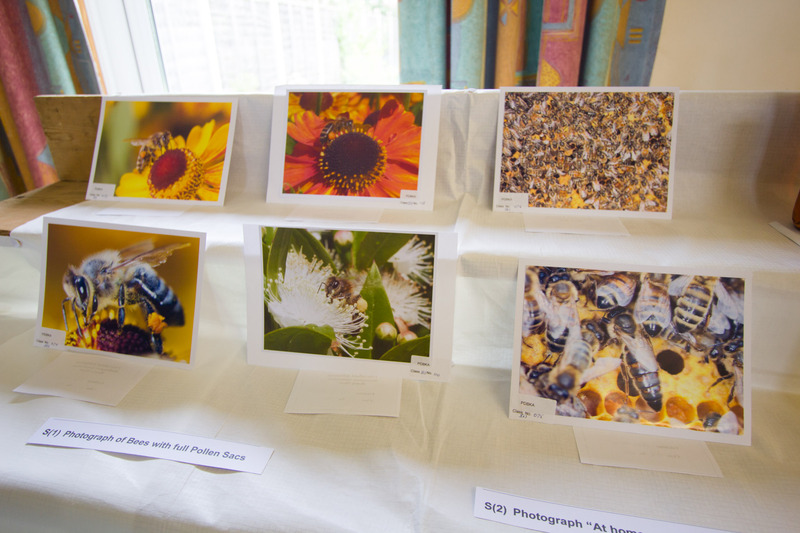 Rogate School and Rake School entered Class U (4-11 year olds) with a Poster “Why bees are great” and produced a marvellous collection, which covered three tables. 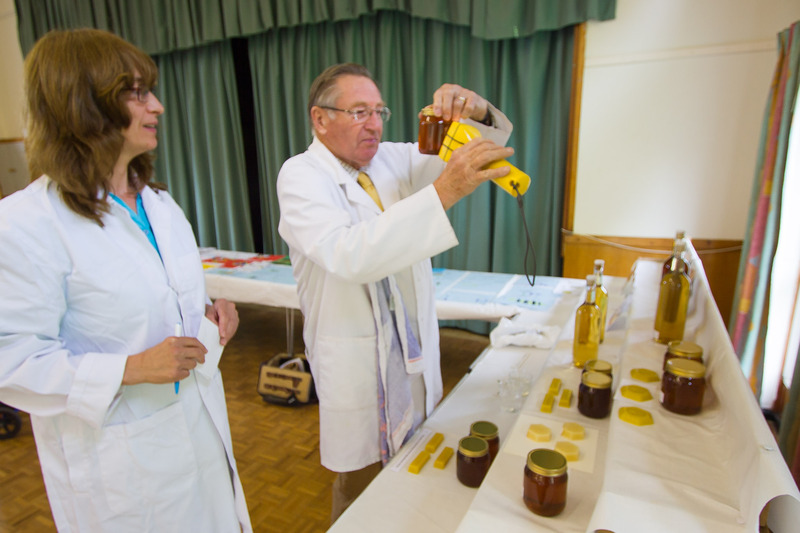 Honey show results were recorded by Elizabeth Eveleigh and Gaye Bartlett. 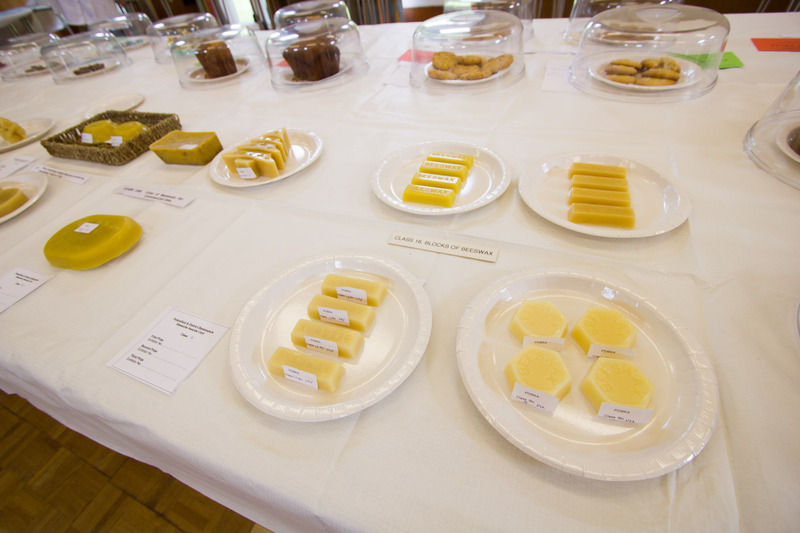 Honey Steward – Alison Turner Confectionery Steward- Gaye Bartlett. 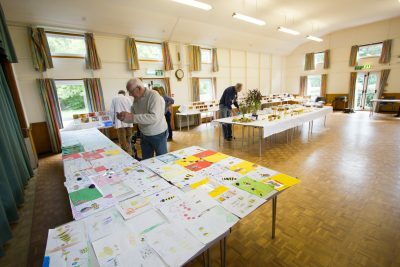 The Honey Show was concluded by the presentation of the Trophies and the Blue Ribbon Award was by Vaughan Clarke, former County Councillor and Chairman of the Petersfield Museum. A good article on Understanding the crystallisation of honey and how to deal with it. 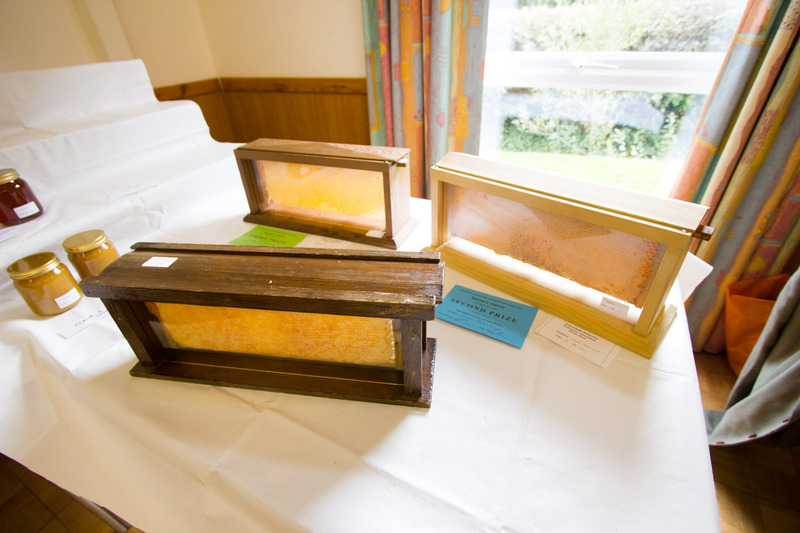 Link to the new 2015 Honey Regulations.